A quaint and cozy place, Appetito Trattoria is a great choice for a romantic dinner or a quiet lunch. Located right across from Napoli Hotel on Mahatma Gandhi Street in Hamra they offer an authentic Italian experience in a nice setting and ambiance. We’ve been to Appetito twice and both times we left extremely satisfied. We do recommend you make a reservation before heading there since the place is full most of the time. The first time we went we had to wait for 10 minutes to get a table, the second time we called an hour earlier and booked to avoid waiting. As soon as you get seated and provided with a menu, a complimentary basket of bread with olive oil is served. The service is friendly, yet professional and the waiters are very knowledgeable and don’t hesitate to help out with recommendations. 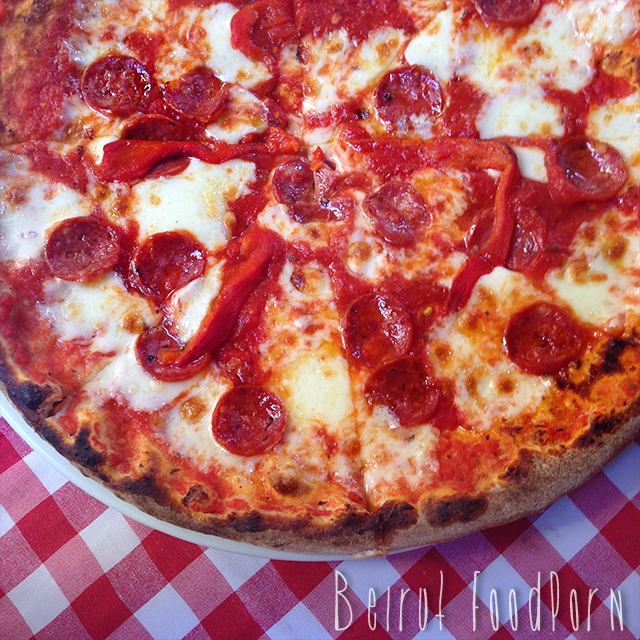 One of the items recommended to us by the manager was the pepperoni pizza which was delicious and looked mouthwatering with it’s strong red colors. The dough is thin and tender with a crunchy crust. We really loved it. 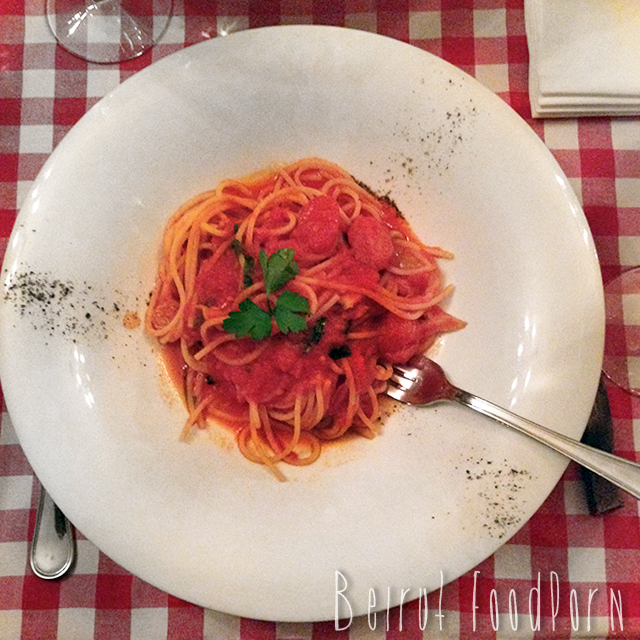 On our first visit we tried the Spaghetti Bolognese and Spaghetti Pomodoro e Basilico. 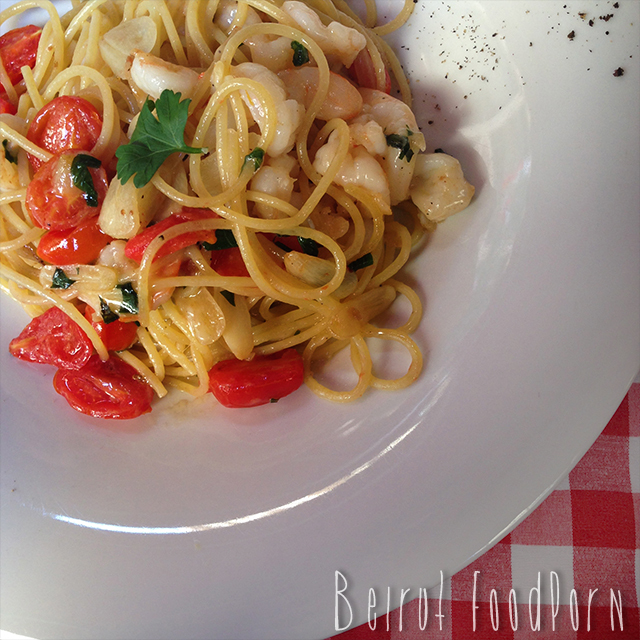 The pasta is something else though it comes in a small portion, it is very well cooked and the flavors are exceptional. Our second visit we tried the Spaghetti Gamberetti which opened our appetite just by reading it’s ingredients on the menu. It did not disappoint and was as delicious as we expected it to be. We highly recommend this place for the great food, lovely service and experience.